well with the big guavas and Wax Jambu. Roger there is a chance.What is your address? Mike, seeds are starting to sprout now, and they're suprisingly fast - one day there's nothing there, and the next day there's an inch high seedling, no in-between. Thanks again. Roger hang in there I just have to wait for a few to get ripe. You're right there Mike. Mine is in it's third year with it's second crop hanging on over winter, just underripe. 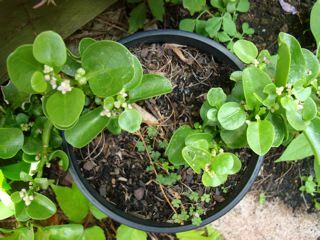 This year it flowered early (for here) so might get two crops, the over winter crop and a crop off the current flowers. The "over winter" crop is starting to swell now, but I'm wondering if they are going to be representative of it's true edible qualities. No matter what the outcomer, at least I should get some viable seed, they appear to be popular. I still have no idea what to expect, I have never tasted or experienced one. I'm so jealous John Mc because mine died. It was going really well but I went away and it (and a number of other things) died even though I hired a fellow to come and water and my friends/neighbours all said they will keep an eye:( Here's the last picture I have of it in March this year and when it first arrived. Mary the ambarella train has not derailed entirely and only time has been lost.Let me know the casualties and most can be replaced with a few extra real stars. The UD hog plum has larger and sweeter fruit than the standard dwarf.It is almost like there are 3 species. Ok Mary but when I am rollin' in bath tubs of good quality seeds and herbs looking for a good home I will let you know. My UD Hog Plum is still ok, I think so. It's like a stick without any leaves now. 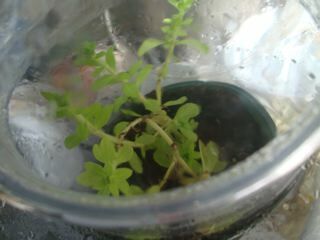 I see the top is green so I hope the leaves will grow soon. Although the weather in Sydney is still cold in the evening, I move it outside to get the sunshine in the morning. There's no sign from the seed. 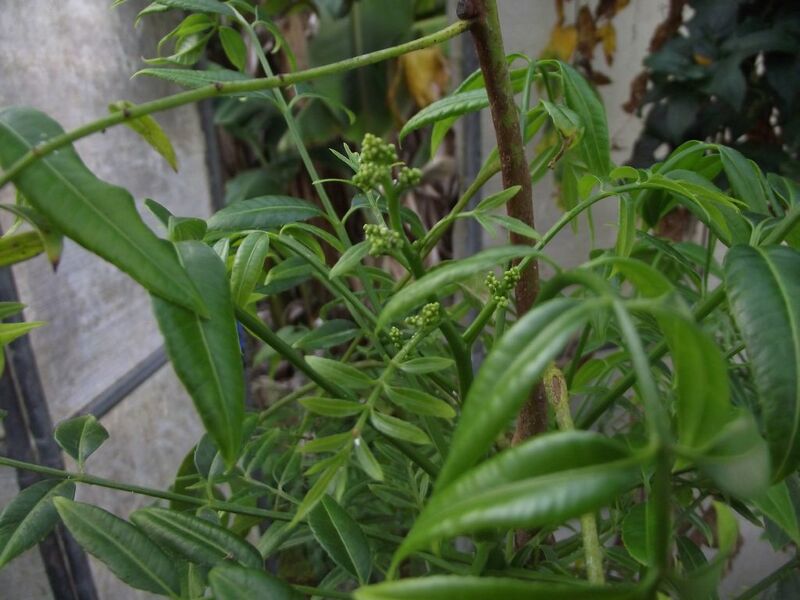 The pepper vine buds are shooting now. It means the vine can stand cold weather. Mary, I still have drawbacks living where I am. 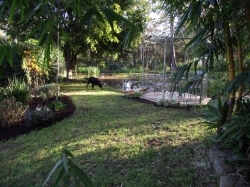 The sheep next door broke through the fences two nights ago and totalled, almost destroyed my fav Secondo avo tree. Also cleaned up my fully in flower Jujube trees, 5 in total, I've been hand watering them since Early August under Lucy's instructions. Not to mention my Ballerina apple tree, in fruit for the first time in four years, that I have been hand pollinating because of lack of pollinators. That kind of experience knocks the shine off very quickly. Poor you, John Mc; that must have been heart breaking. Did you have shepherd's pie for dinner? I'm glad we don't have marauding sheep roaming about. So sorry to hear it. Sorry to hear about the saga you had the other day with the sheep. 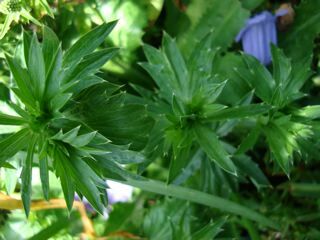 As long as the grafting bit still there, new grow/flowers will appear again soon. 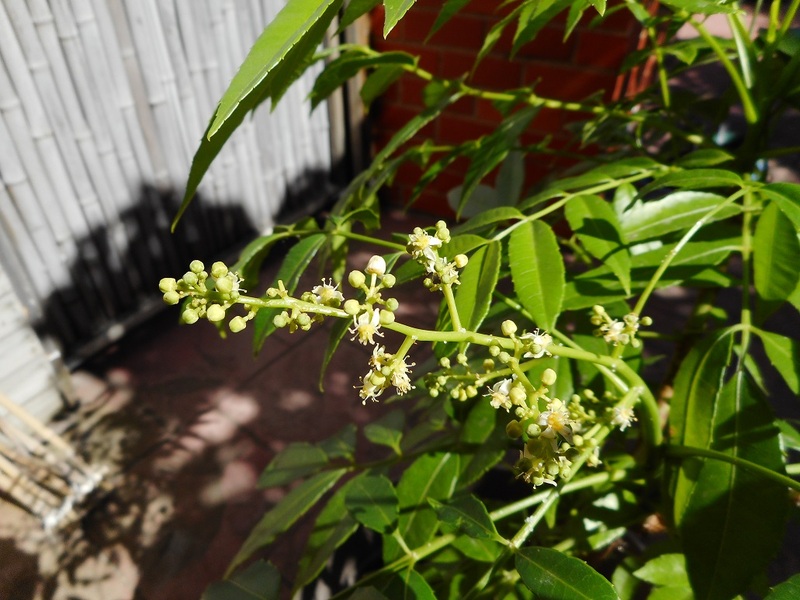 These jujube trees can continue to flower from October up to April next year. Talking about UD hog plum mine is flowering right now after 9 months from seed thank to the generosity of Mike. Keep on good work. You won't be disappointed. I broke the only young bud of my brand new jujube tree last year about the same time and the new branch grew back in no time. 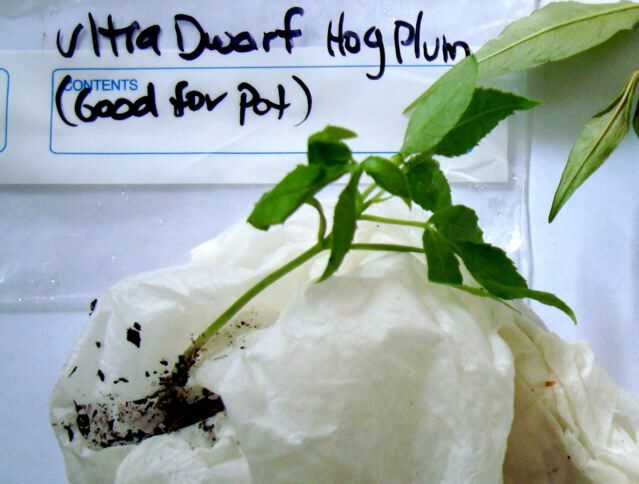 John I only sent UD hog plums and your 5ft one could be the standard dwarf or a runty big one. is there anybody can help me to have a hog plum seed? that I can grow. I am in sydney. Yes the triplets are going just great and healthy. Must be due to all the warm weather here. 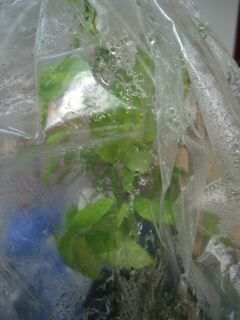 They never lost any leaves since they arrived and I transplanted them. May they keep motoring along. But the real test for the triplets will be to see how they survive the Winter! Fruit365 - you will probably need to wait until the fruit are in season before you can get any seeds. 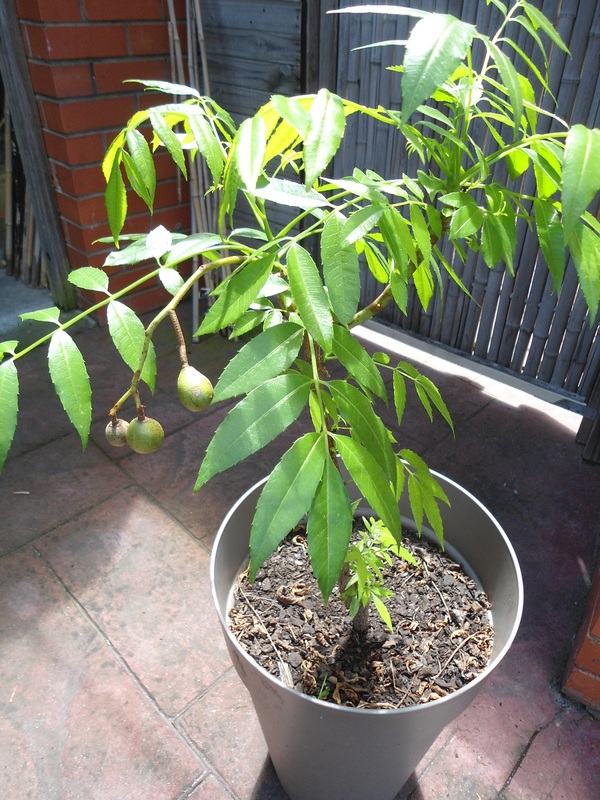 I don't expect there would be any of the dwarf fruit around in Melbourne until end of summer, but maybe earlier further north. Does the fruit get attacked by fruit fly ? Yes the 3 plants have survived winter here outside but undercover. They didn't even lose many leaves and I thought they were supposed to be deciduous. That's good to hear, hopefully will fruit for you. Kept 4 for myself, rest given to family and friends. Had one fruit like crazy before winter, lost all its leaves ,fruit was all that was left hanging over winter. Now back to full leaf. 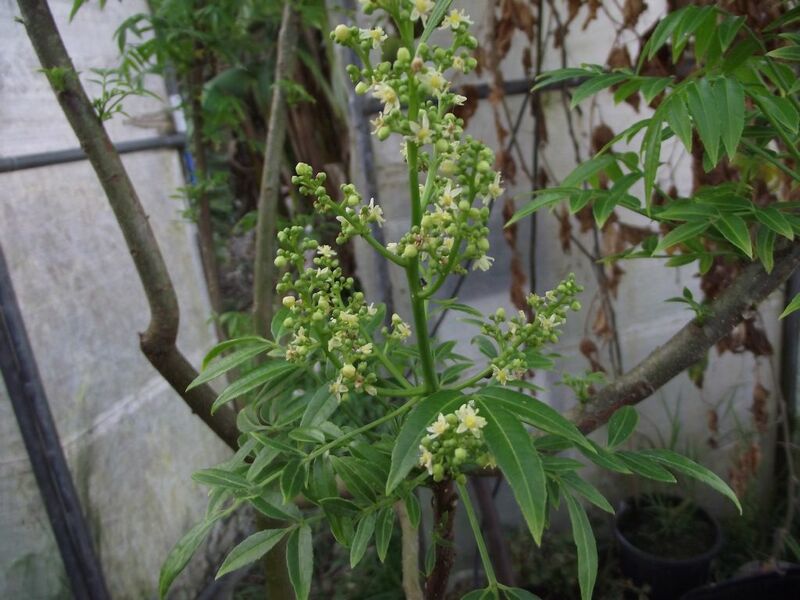 Others are starting to flower and set fruit now. Even had one late arrival pop up over winter, was about to recycle the pot. That's one less variety I have to bag. 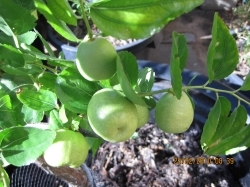 My little Hog Plum tree has 4 fruits still hanging on from last Summer. 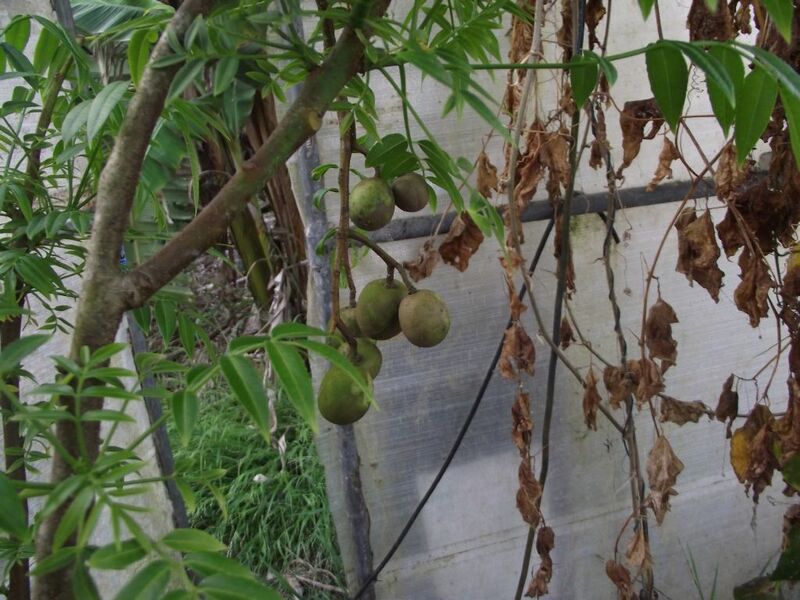 From the comments I have been reading here regarding other species that do that, the fruit are not so good if they stay on the tree over Winter. 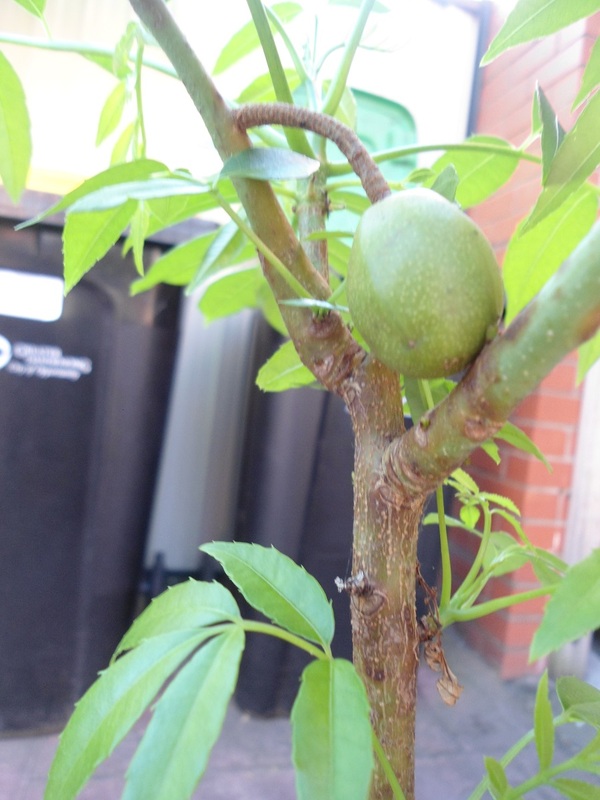 I can't tell if these fruit are ripe or not but please advise if I should remove them to give the plant a chance to make more fruit this season. Thank you. How did yours survive winter Linton? Mine absolutely hated the first week of mild winter and carked it. Do you mean how do they survive in a pot or in the ground? 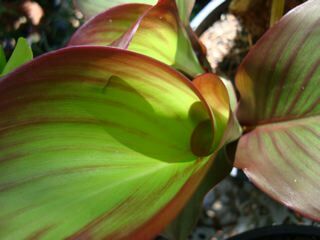 They are relatively easy to grow here if in a pot and should be even easier over there in Adelaide where it's a bit milder. Attention Peter....more information required please! 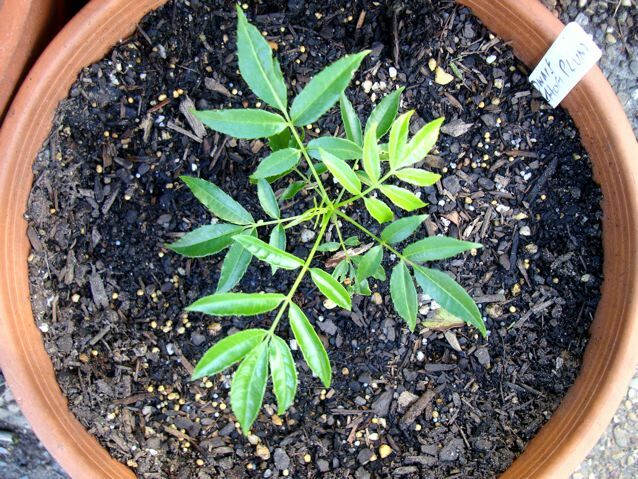 Thinking about why your Hog Plum might have died, could you please advise if you had bought a plant already started or grew it from seed. 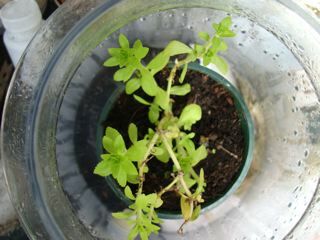 If it was from seed what time of the year was it sown, or more importantly when did it sprout? 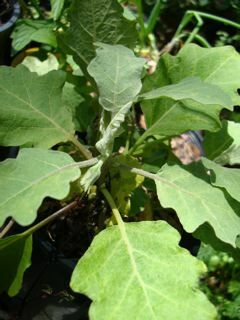 They need a long Summer to get the deep tuberous roots down which enables the plant to survive over Winter when it is dormant. 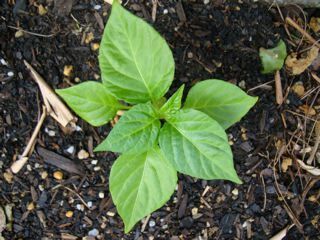 So seedlings would need to be started as early as possible in Spring to get them well established before the onset of the following Winter. 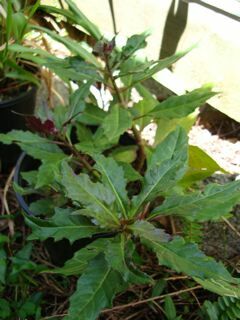 You need to use as deep a pot as possible for those roots to go down and develop. Needless to say you should not water this plant once the weather starts to cool down and if the soil is still wet when it is cold it will probably die. I'm sure if you observe these 2 requirements you will have no trouble growing Hog Plums in Adelaide. The local nursery here in Police Road has advanced Hog Plum trees for sale but not sure if they are aware of the growing conditions. The pictures give you an idea of the deep pot that I use. 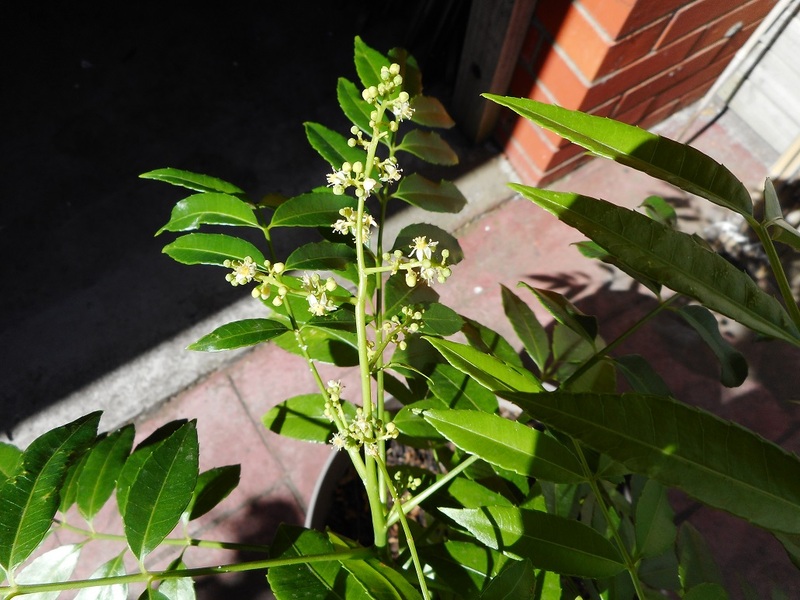 The tree is already starting to flower again, but they're too small yet to see in the pictures. 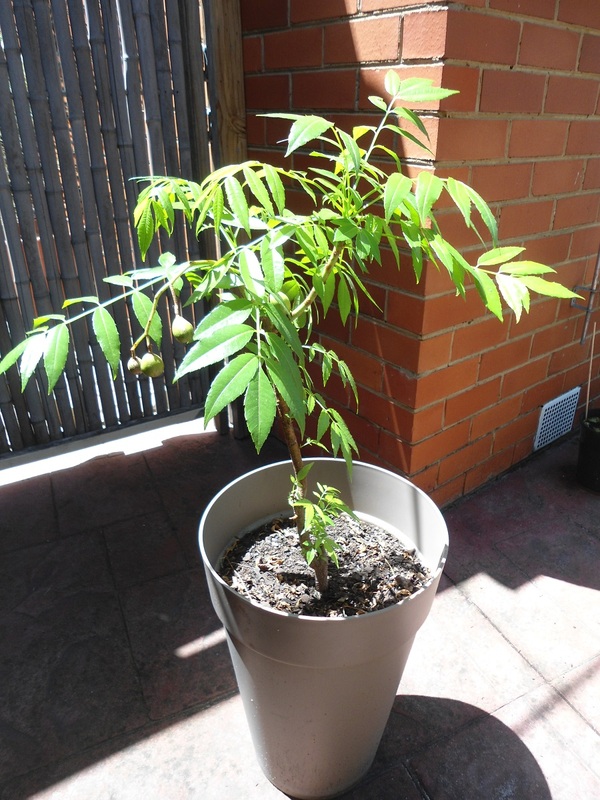 In that case your tree was about 2 years old right, and therefore the roots should have been well established. So it would seem that the soil may still have been damp for it to die. Hey Linton thanks for the info, I got my UD from Ive and I'd say it was 2 to 3 years old and I recently potted it up to a larger pot before winter but it wasn't a longer deep one like yours...However after what you've told me I'm positive it died off from the soil being damp over winter which is a shame. Yours is looking great and even fruiting so you've proven it can be done, so I may give this one another shot if I can find another UD plant. 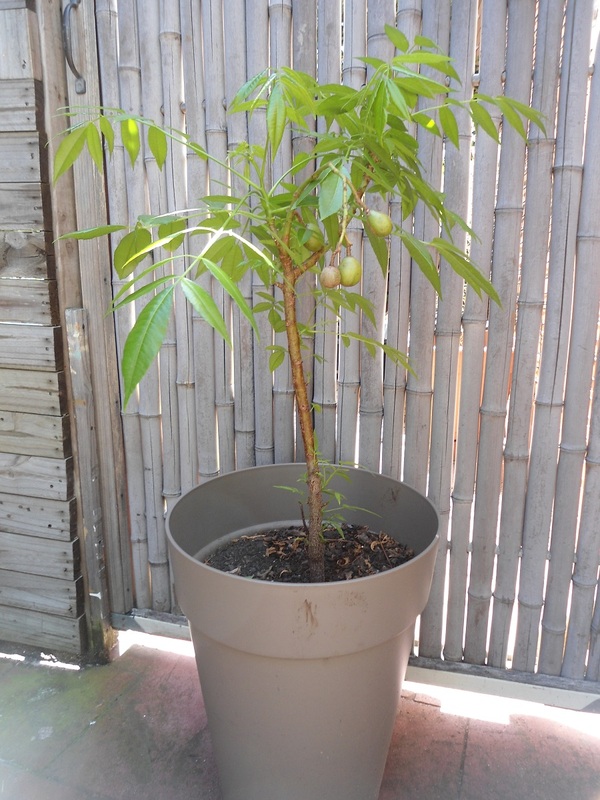 Dear Peter, hope you had a joyous Christmas and the new year brings more successes with your trees.Here's some pictures with my hog plum currently flowering and making new fruit. 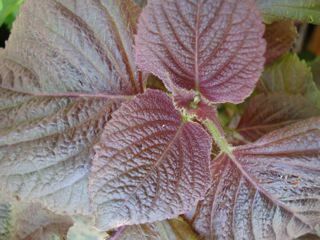 There's another thing I didn't mention about this plant which might enable it to be grown more easily in Adelaide. I'll tell you more about my idea next time. Cheers! 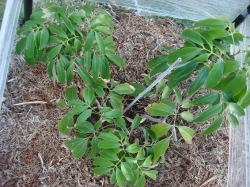 Hi Linton, I am just wondering if you have UD hog plum seeds or trees for sale.